• Easy, exciting and intuitive gameplay! 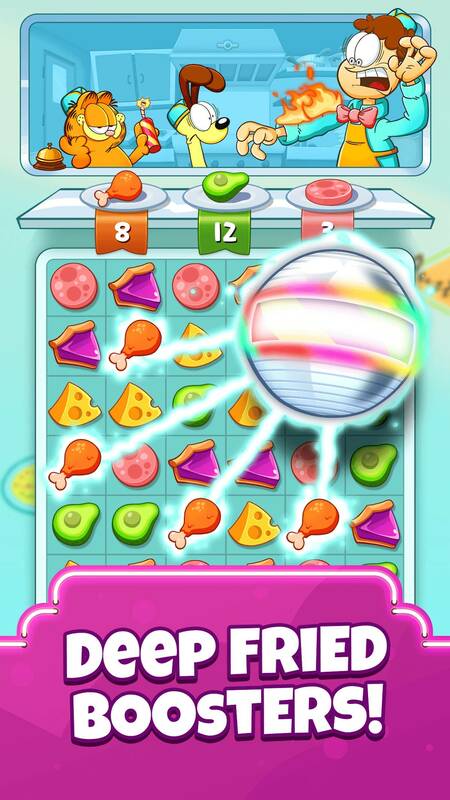 Simply switch and match 3 or more ingredients on the board to create explosive flavor combinations! • Play with friends! What’s the fun of cooking without some friendly competition? Prove your cooking skills with tournaments and challenges released every day! • Sweet rewards and finger lickin’ good daily quests! • Take your food truck to a new level with challenging new levels and surprises, every week! 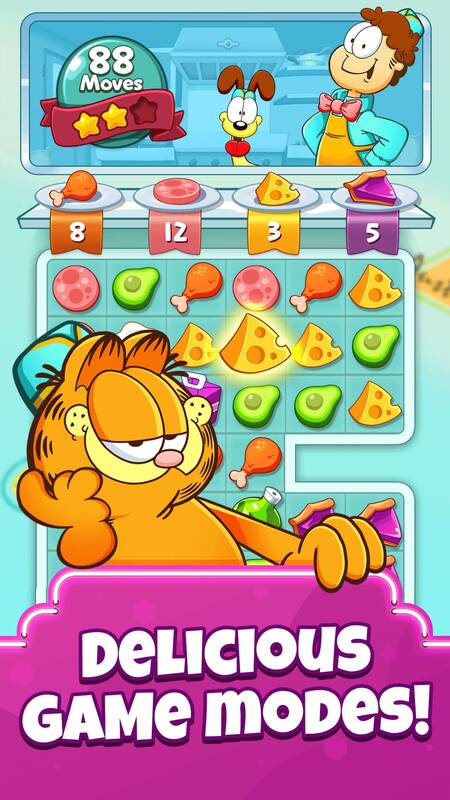 • Fun animations that will take any nostalgic player back in time to classic Garfield! • Easy sync between devices with Facebook login, so you can play anywhere, anytime!